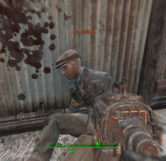 Deacon can be seen spying on the player numerous times throughout the game. 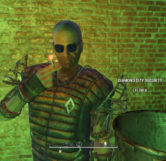 After finding and easily joining the Railroad players will have a chance to speak with longtime Railroad spy and potential companion, Deacon. 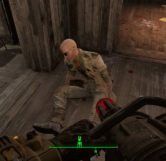 During your conversation, Deacon he will state that the Railroad is desperate for members, else they would have taken the time to properly get to know your character and learn whether or not they can trust you. 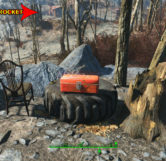 After he makes this statement choose the option, “Is that it?” and he will actually admit that he’s, “Done his homework” on you and he was looking to recruit you anyway. 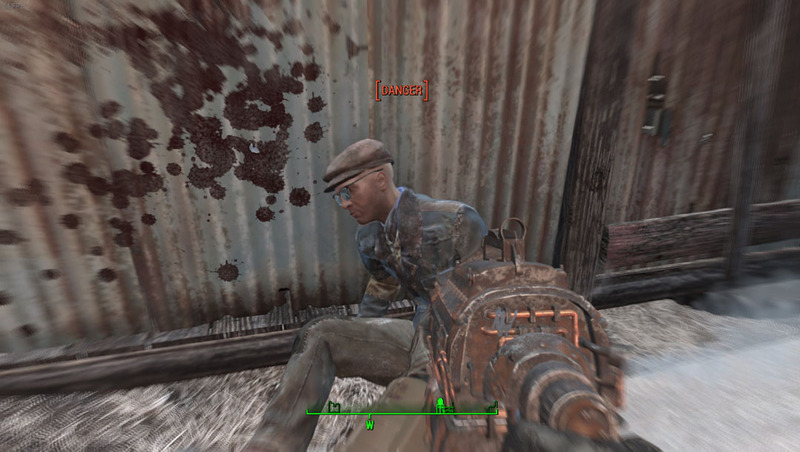 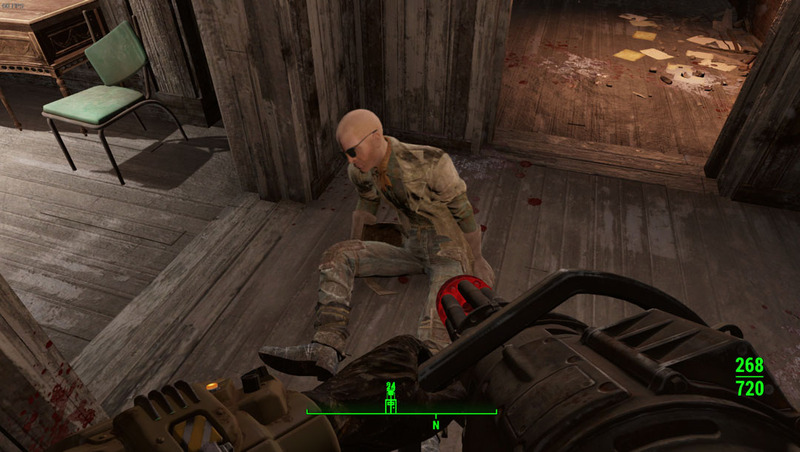 While traveling the Wasteland, players may spot a disguised Deacon in a number of settlements. 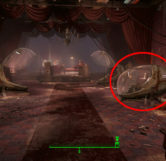 For instance, Deacon can be spotted after the argument between Piper and Mayor McDonough disguised as a Diamond City Security Guard behind the counter directly to the right of the Diamond City entrance. 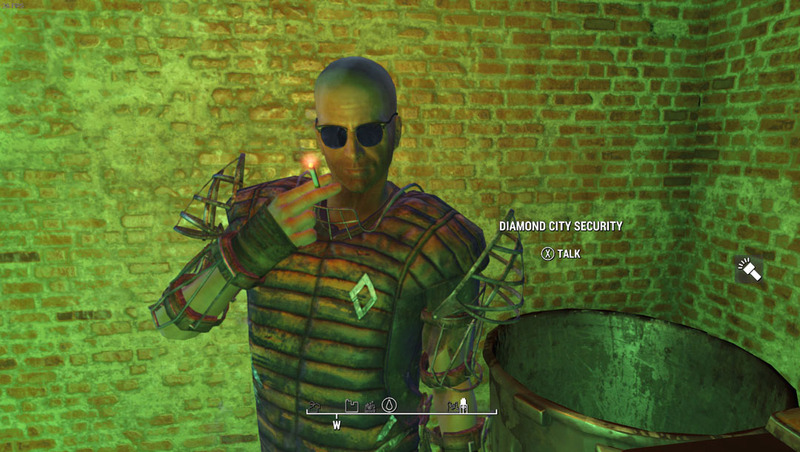 If spoken to he will have different dialog than the other guards. 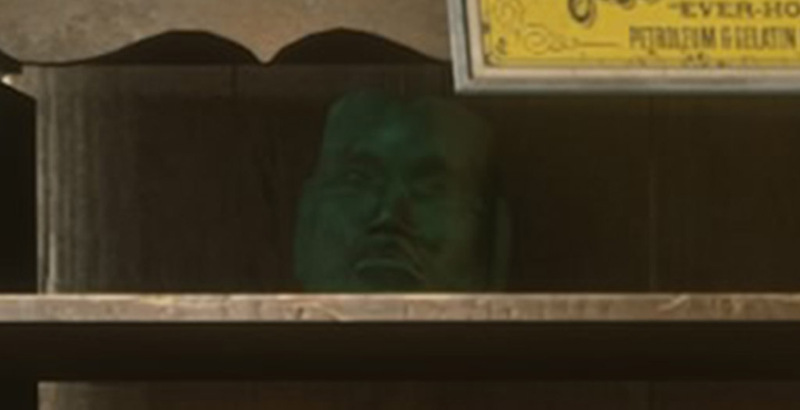 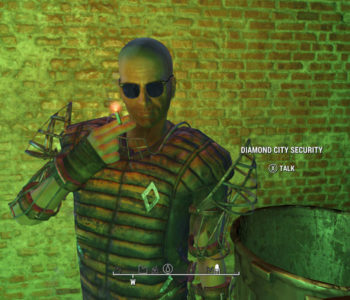 Another time, Deacon can be spotted in Goodneighbor disguised as a Drifter and can be seen when Hancock gives his speech about the institute and can even be heard agreeing with Hancock’s anti-synth policy (for the sake of staying undercover). 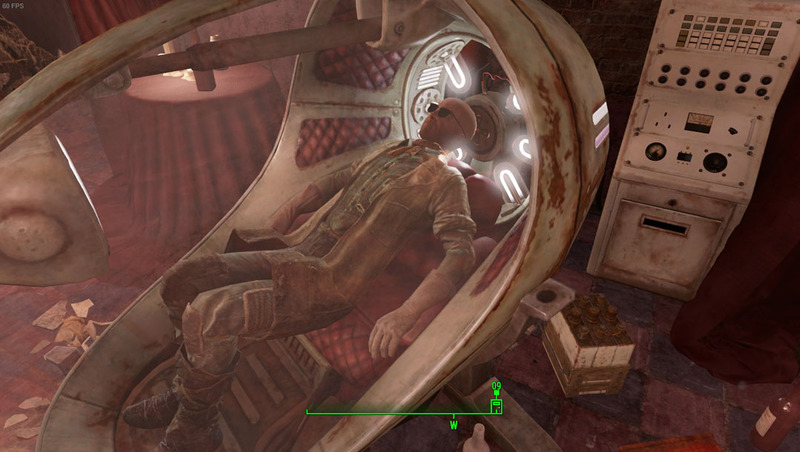 After and before the speech he can be found in one of the pods in the Memory Den. 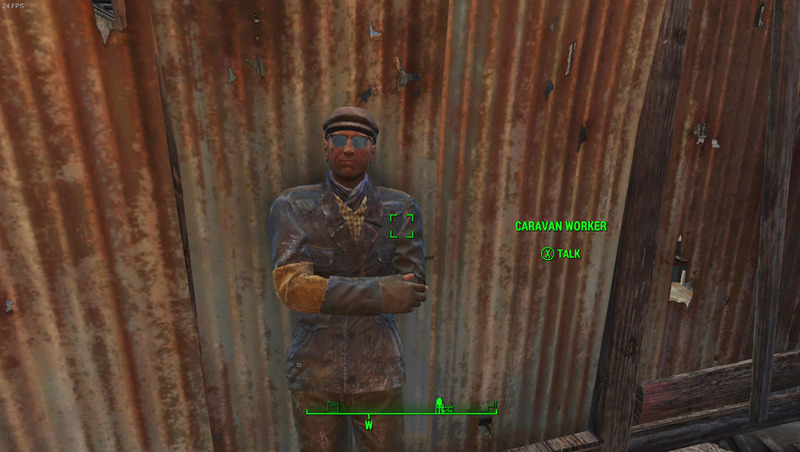 He can also be spotted at Bunker Hill disguised as a Caravan Worker. 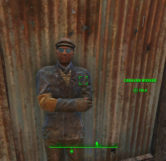 After being questioned by Kessler if you enter the gate and look immediately left Deacon will be leaning up against a wall. 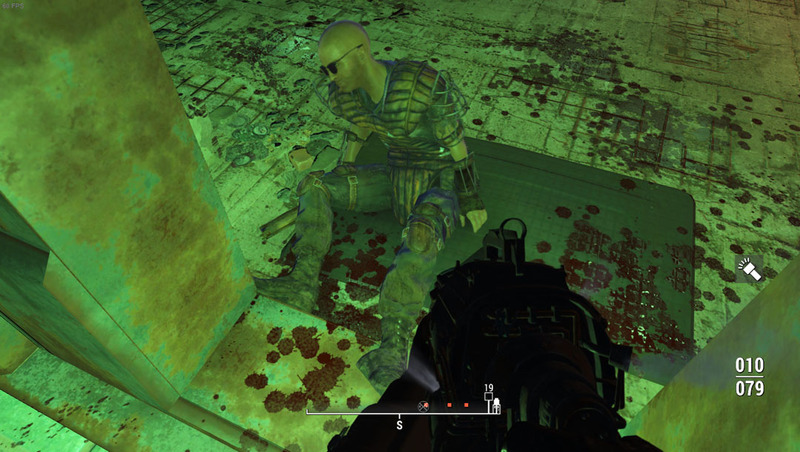 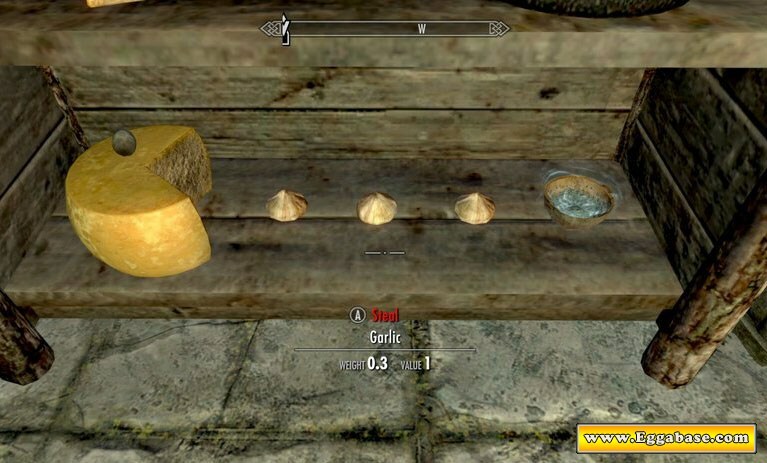 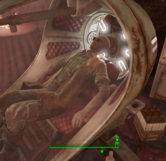 Trying to kill Deacon in any of his disguises will simply “down” the character as Deacon is marked essential by the game since he can become a companion. 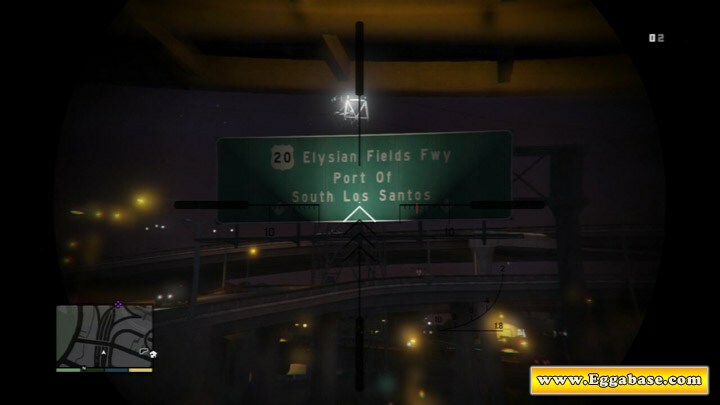 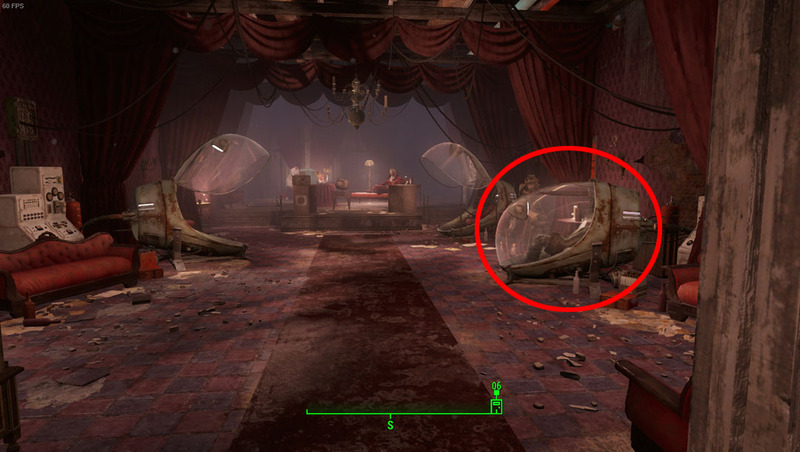 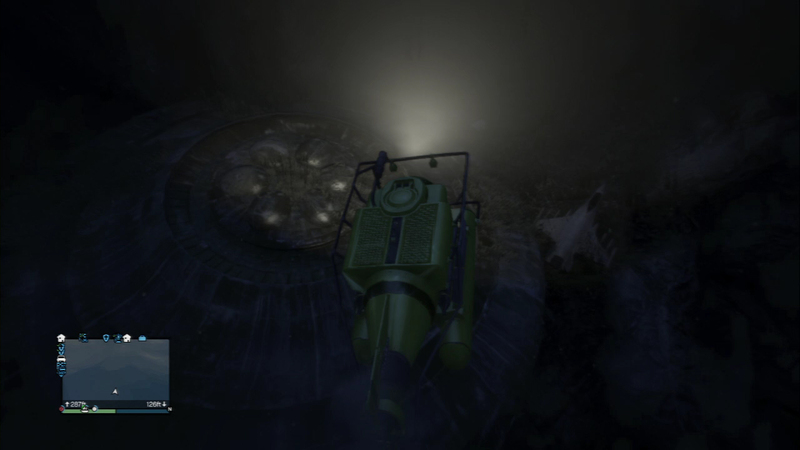 Aside from Deacon’s more obvious stalking techniques mentioned above, the player can also find locations close to Vault 11 where Deacon has setup stake out booths to monitor the players progress. 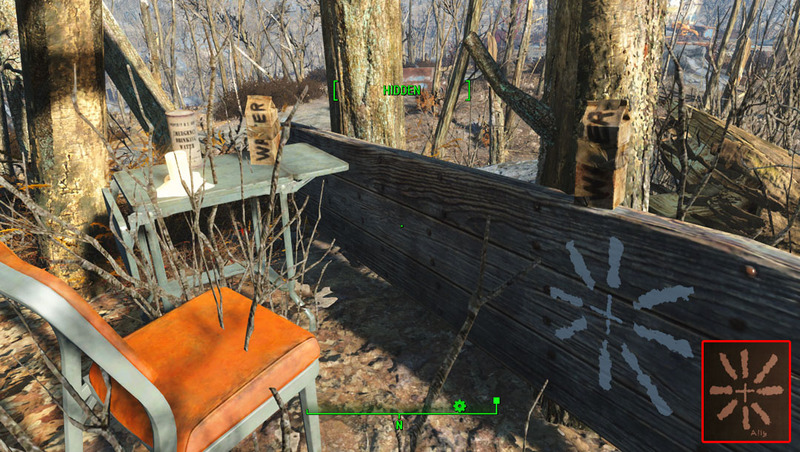 The first one can be found just West of Vault 111 (the vault you wake up in). 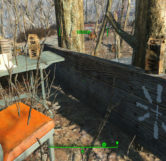 After traveling west and up a small hill you’ll find a table with water and a candle on it, a chair, a tarp hanging above and a set of planks with the Railroad symbol for Ally painted on it all facing towards the vault. 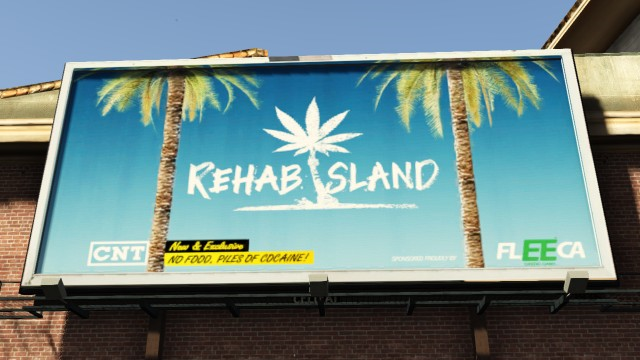 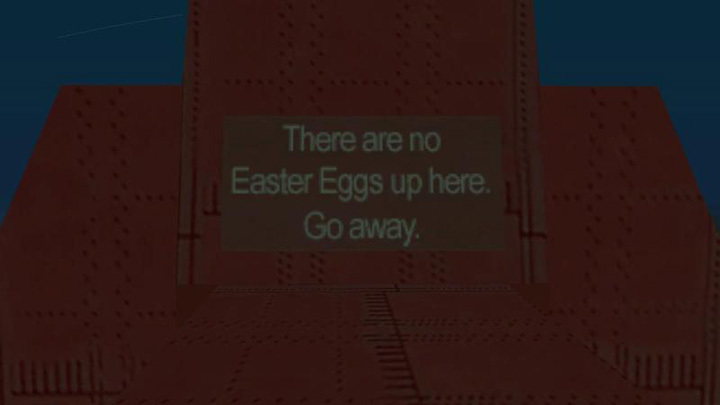 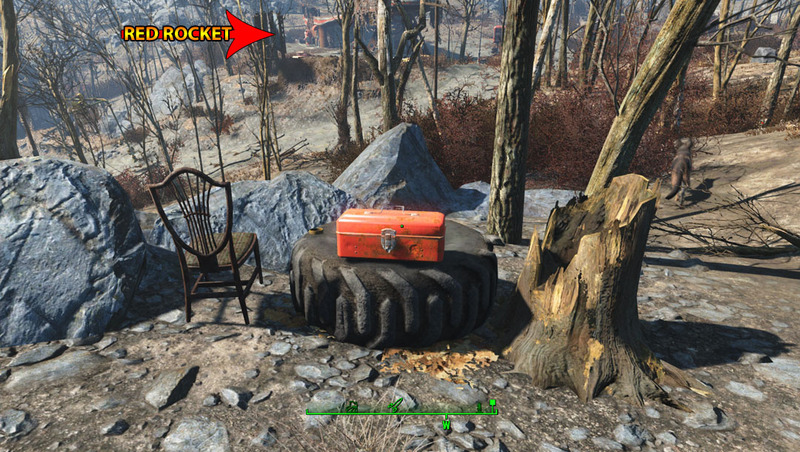 The second one can be found across the road from the Red Rocket gas station. 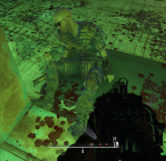 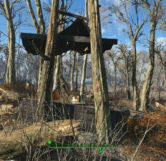 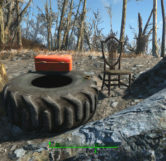 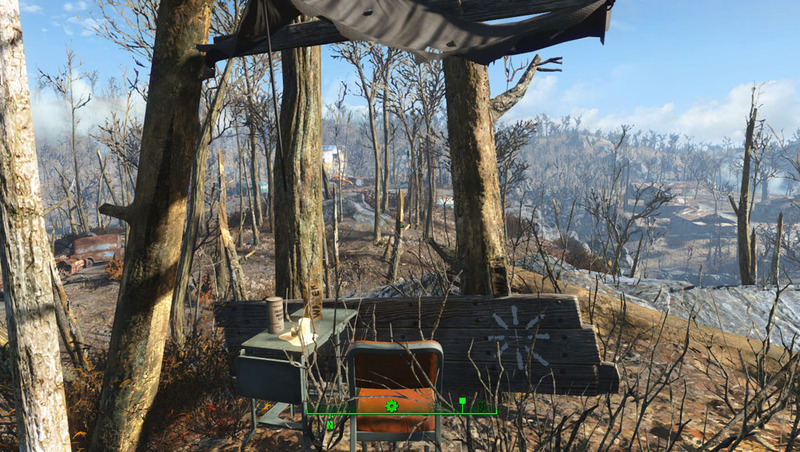 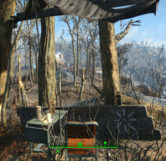 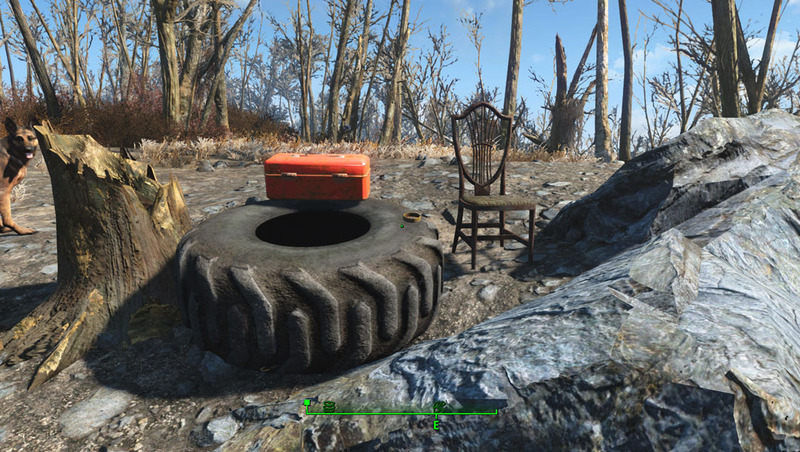 Just before entering Concord if you go into the woods you’ll find a similar setup but with a toolbox, ammo box and an ashtray (Deacon can be seen smoking in Diamond City) with the chair facing towards the gas station. 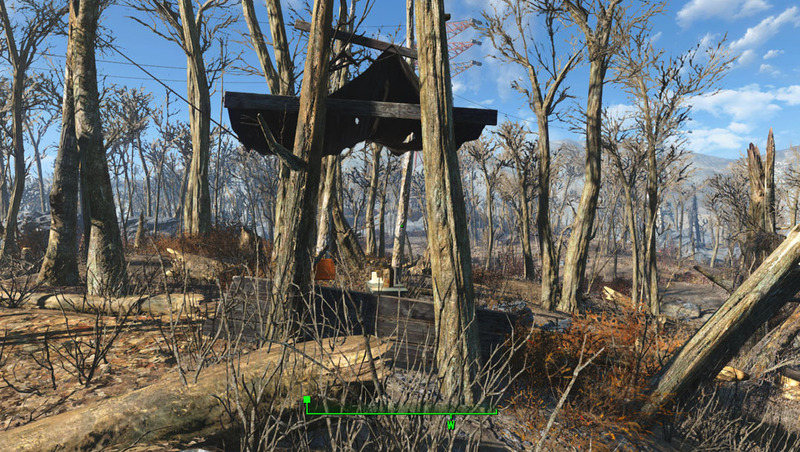 Unfortunately though we were unable to find a Railroad symbol, but many believe this to serve the same purpose as the previous booth.